Orangeries offer all the benefits of traditional conservatories, such as a bright, light space and beautiful views of the outside. You also get the benefits that would normally come with a brick built extension, like privacy and sound proofing. 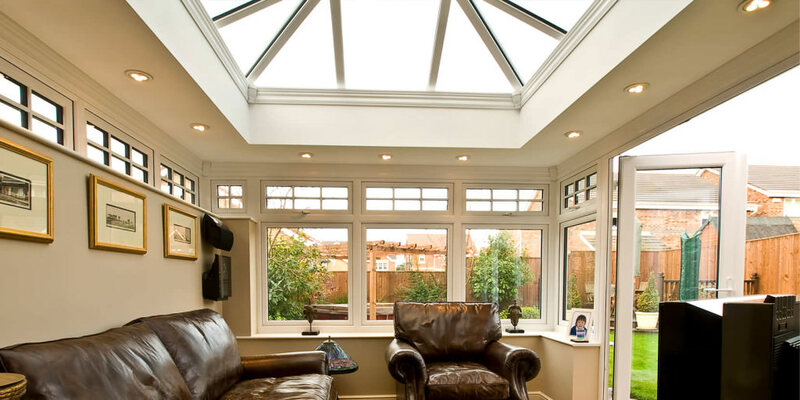 Stunning yet practical orangeries are one of the most popular conservatory designs across Margate, Kent, Canterbury, Herne Bay, Westgate-on-Sea, Broadstairs, Ramsgate, Whitstable, Chestfield, Folkestone & Dover. They help you to reach the full potential of the space in your garden, these beautiful home improvements give you a superb living space that will offer year after year of wonderful performance and beauty. The orangery gives you the best of both worlds, with none of the complications and time-consuming challenges that come with an extension. Omega are proud to supply and install the Ultraframe orangery range. You can choose from a vast selection of styles and designs, picking the elements of traditional and contemporary conservatories that you most like. Unlike a traditional conservatory, the orangery has brick pillars, which gives you more privacy than conservatories and the wonderful interior height provides a breath taking focal point that also allows light to flood in. Your Ultraframe orangery will give you a space where you can experience your garden in comfort. The LivinRoom orangery is a design that is unique to Ultraframe. It combines contemporary style with original orangery design. The LivinRoom orangery has the classic conservatory roof as its centre, and then adds an innovative and modern internal perimeter ceiling. It provides a truly spectacular light and airy living space which gives you the comfort and solidity of a standard extension. The traditional orangery has been developed over time from atrium style conservatories, and now comes with the very latest roofing technology by Ultraframe. 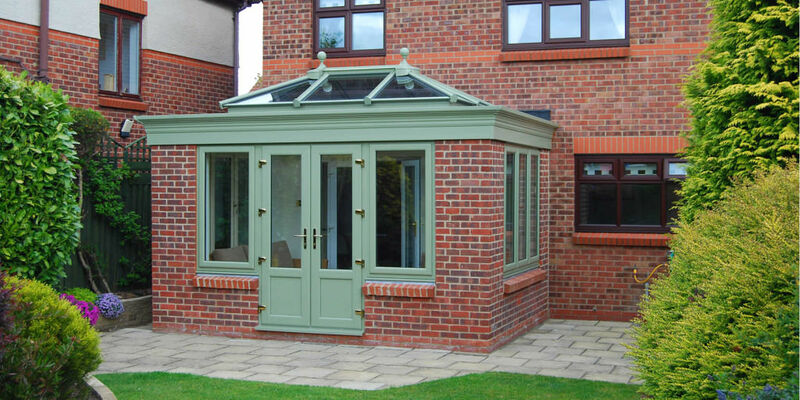 The traditional orangery features a flat roof externally, and an internal plasterboard perimeter. The brick pillars create a feeling of luxury and open space, while giving you that bit more privacy to enjoy. Due to the design of the orangery, you have a more versatile living space available to you. Whatever you choose to use your orangery for, be it an office, dining room or living area, the exceptional sound proofing qualities of the glazing and brickwork combined will help to stop your neighbours from hearing you and being disturbed. Whatever you choose to use your orangery for, be it an office, dining room or living area, the exceptional sound proofing qualities of the glazing and brickwork combined will help to stop your neighbours from hearing you and you from hearing them. An orangery is created from a union of extension and conservatory, so you can create a design that is adaptable to any space and is completely tailored to you and your home. Whether your garden is small or large, your home is a bungalow or a mansion, the orangery design can accommodate the space available, adding style to your garden and value to your home. The surprising benefit of choosing an orangery for your Kent home, is despite them being so close in design to extensions, the orangery is in fact a cost effective alternative that is similar in price to a conservatory. Our design team will work with you to gain an understanding of your likes and dislikes before creating the perfect orangery for your home, so your orangery price will be tailored just for you. If you would like more information, or to discuss your options, please contact our friendly team.